The Illegal disposal of asbestos in Perth is expected to end after a landfill levy for the deadly substance is dropped, according to the WA government. 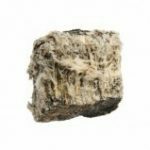 The exemption will be in place as early as Januay 2013, and will apply to asbestos sheeting bound in black plastic– however asbestos- contaminated soil will still be subject to the levy. Environment Minister Bill Marmion stated that the new measure is intended to discourage and deter illegal dumping. Regardless of increased fines, people had continuously dumped asbestos sheeting in bushland and other sites away from public scrutiny. The Waste Authority advised that the landfill levy could be unintentionally pushing people to people to dispose of asbestos waste improperly. “This is good news for small business and families, reducing costs and protecting the health of communities and the environment,” Mr Marmion said.